BWD/CE Schedule in PDF Format. TDD users call (636) 789-5772. 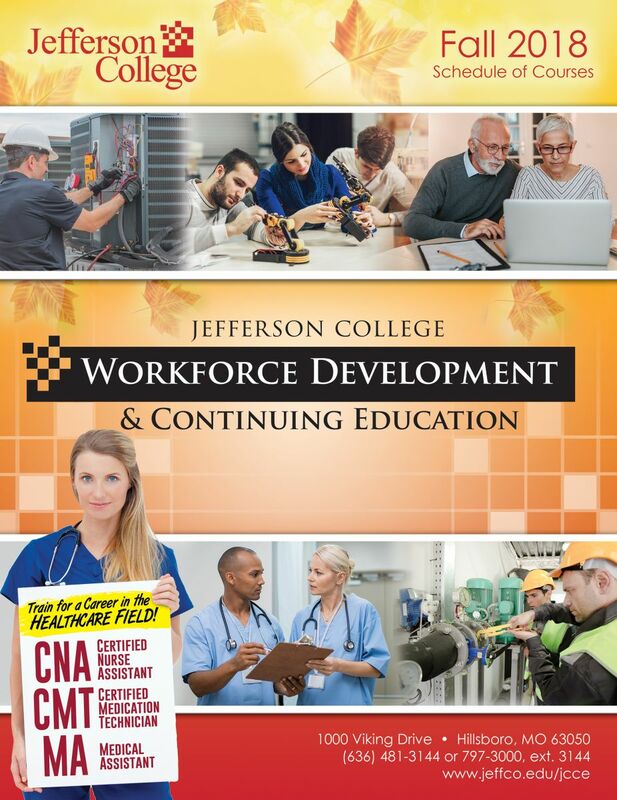 The Continuing Education Department at Jefferson College has just introduced two new instructor led courses, Basic Life Saving Skills for Healthcare Providers, and a Certified Nurse Assistant (CNA) Program. Click the links below for info on these two new offerings. Continuing Education Credits for EMTs and Paramedics - State Approved! Certification Prep for First-Responders, Nurses, Doctors and Health Care Professionals! Note: ProTrain offers many Health Care Programs, click here for a more complete list.